Seo Best Practices-Why Should a Seo think from user point of view? The job of a search engine optimizer demands thinking from search engine's point of view, but to get the best possible result, seo's must think from user point of view. A big part of website changes are being done by a search engine optimizer and while doing these changes, Seo thinks of a search engine and implements the changes accordingly. But, it is also important to think from user point of view while making changes on any part of the website. What is done? 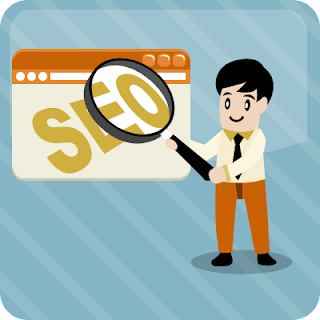 - Only keywords are added on the title tag, some even repeat the keywords resulting in keyword stuffing. What is required? - Think from a user's mind and apply marketing methods to use words that a user is most likely to click. Using words such as FREE,Call Now, Toll Free Number,Secrets revealed,Top 10 etc have the highest clickthrough rate. What is done? - Webmasters stuff the description with keywords, often words are repeated 3-4 times in the description. This is really unsatisfying from user point of view. What is required? - The description tag must accurately describe the contents present on a web page. Adding words which increase the interest of the user is required. Keywords are important but it should be used smartly. Adding words such as read more, know more helps. What is done? - Content is made to look artificial with unnecessary use of keywords or keyphrases. Content is written specifically for the bots and not the humans. What is required? - Webmasters must write content for the user and not for the search engines. After all, it is the user who will read your content and take action based on it. This would help in generating profits. Using quality content, adding keywords in important areas, specifying call to action helps to reduce the bounce rate. What is done? - Only keywords are used in the H1 tag and more than 1 H1 tags are used in a single web document. What is required? - It is suggested to use only 1 H1 tag per page (unless it is necessary). The most important words that relate to the document and helps a user to get an idea of the contents of the page should be used in the H1 tag. What is done? - Webmasters forget to make use of contextual links and only create lots of unnecessary footer links which looks spammy and does not helps the user. What is required? - The best way to link your documents together is by using contextual links. This is the best form of internal linking which gives the best value of page rank and anchor text both. What is done? - Webmasters forget to use Alt text in the images used on the web page. Moreover, some of them wrongly use it and add words such as al23,j87,ytrrr,hr8 etc as the image alt. Using these faulty words does not helps to increase the user experience. If the browser is unable to display the picture, people get confused and are not able to get an idea of the picture with the alt text. What is required? - Use alt text that accurately describes the contents of the image. You may use your keywords smartly in the alt text itself. This helps to add value to the user experience and also helps in better search engine optimization. What is done? - Some webmasters use funky java scripts, flash etc as part of their main navigation structure. This is a big mistake as it does not help in proper passing of the Page Rank. What is required? - Webmasters must use text based navigation as this is the most preferred form of navigation structure for the websites. This helps in the proper passing of the Page Rank. What is done? - Webmasters use a lot of unnecessary elements in a web page like images, videos, structural images, flash, java scripts etc which makes a web page heavy and the result is that it takes time to load. Increase in loading time leads to user frustration and ultimately the user opts out. This increases the bounce rate of the site. What is required? - Overall web page size should be as less as possible while accurately describing the contents. Using fewer images, more text, less videos, external CSS, optimized images etc. all contributes towards making the file size small.